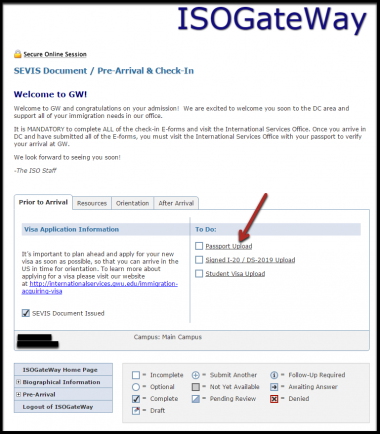 All new international students are required to complete E-Check-In to upload their immigration documents to their GW University International Student Record. 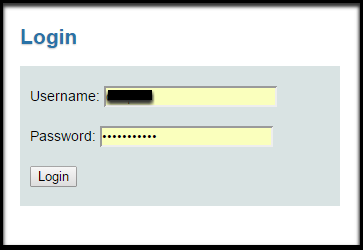 They must also report for In-Person Check-in at the International Services Office (ISO) after arrival in the US. We look forward to meeting you! ***These next steps are required and are to be done as soon as possible. They can be done while you are still in your home country and MUST be completed before you visit the ISO in person. 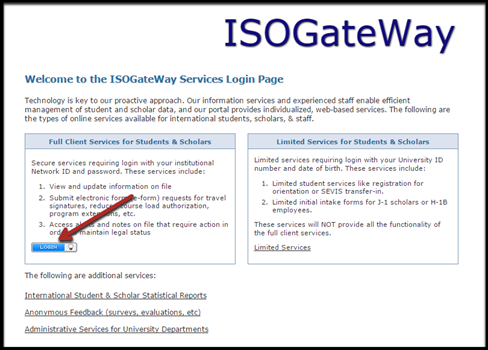 If you have trouble completing the Pre-Arrival E-form, please note that an ISO staff member will assist you when you check-in at ISO in person. Please continue to the Mandatory In-Person Check-in to learn more about the next steps.